Therapy is in a comfortable and supportive atmosphere with a highly personalized approach tailored to individual and family needs. Goals of therapy are client centered to strive towards greater interpersonal growth, balance and life fulfillment. Hi - I'm Kim Martin, I'm a Licensed Professional Counselor. 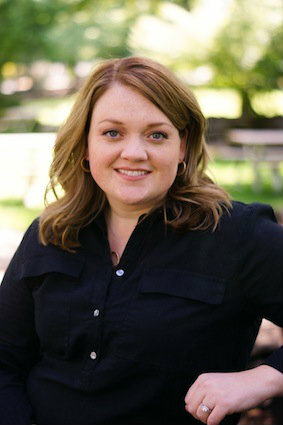 Kim is a Licensed Professional Counselor and a graduate of the Oregon State Counseling program. Kim is the founder of Alpine Counseling and specializes in working with children, adolescents, couples and families. Kim has extensive training in perinatal mood disorders, trauma, anxiety, depression, infant attachment, couples and parenting issues. Kim believes in the power of the individual. Kim takes a compassionate, non-judgemental and empathetic approach to therapy. Kim sees people as growing and moving towards their authentic self to maximize their potential. Her approach in counseling is humanistic and client-centered. To be of the best service to the individual, couple and/or family, she will help them realize their own potential. She will facilitate a relationship that fosters clients' autonomy as they create goals that fit their values and worldview. Kim's counseling approach will honor the balance between emotional, physical, and spiritual dimensions and how that shapes the individual's unique perspective. She believes people change when they are empowered and believe in their own strengths. Kim is trained in Eye Movement Desensitization and Reprocessing (EMDR), Dialectical Behavioral Therapy (DBT), Perinatal Mood Disorders, Cognitive Behavioral Therapy (CBT), and Directive Play Therapy. She recognizes the impact and stress of bringing home a new baby and of the postpartum period on couples and families. She has expertise in child development and highlights the importance of a secure relationship between parent and child. Kim's training in directive play therapy facilitates her work with children and the bond between parent and child. She is also a gifted couple and family therapist who welcomes working with couples and families who are experiencing challenging times. Kim values helping each family member find their voice and work toward collaborative and healing relationships. Kim provides consultation to community members, and providers, around the issues of perinatal mood disorders, family and blended family dynamics and issues related to social and peer relationships for adolescents. Fees range between $100 and $185 per session. Services may be covered in full or in part by your health insurance or employee benefit plan. Alpine Counseling is an in-network provider for many major plans. A limited sliding scale is available for cash paying services. Copyright © 2019 Alpine Counseling. All rights reserved.